Be honest. 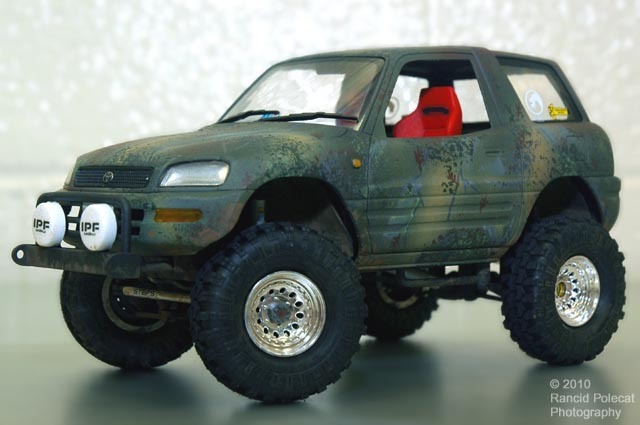 Have you ever taken Toyota's Rav4 seriously as an off-road vehicle? I didn't think so. Dave Zinn decided to improve the diminuitive dirt buster's image by giving it a mighty hunter appearance.